The Ministry for Primary Industries says it is deciding whether to investigate after graphic footage of sheep having their throats cut was posted online by a known Hawke’s Bay-based Isis supporter. The video footage showed a man laughing as a sheep was held down and slaughtered at Fresh Meats NZ Ltd in Napier. At least one of the sheep appeared to be conscious as it had its throat cut. Te Amorangi Kireka-Whaanga, who founded the Islamic State of Aotearoa in 2014, posted the video on Facebook. It has since been removed. Fresh Meats said in a statement on Wednesday an employee, who it did not name, had denied accusations of having links with a terrorist group and may be a security risk. “We will be conducting an investigation of all allegations and consulting with NZ authorities,” the company said. Fresh Meats said it did not tolerate cruelty to animals, and animal welfare was at the “forefront” of all its activities. The company said it takes the Halal slaughtering process very seriously and complies with all requirements. An MPI spokeswoman said the ministry received the footage on Tuesday and it was expected to be reviewed by an inspector on Wednesday to determine whether the matter was investigated. But “on the face of it” the footage did not appear to raise any animal welfare issues and appeared to show “legitimate” abattoir activity, she said. 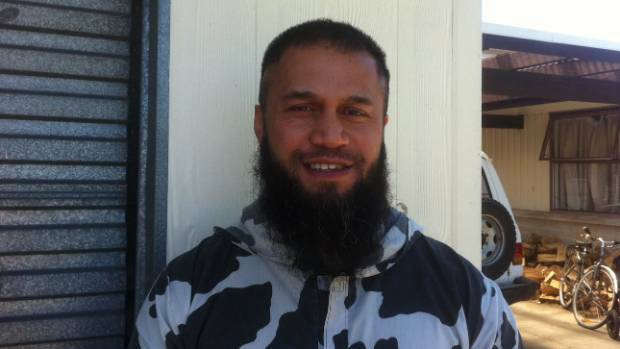 Kireka-Whaanga has previously been identified as the head of the Aotearoa Maori Muslim Association and in 2010. He was named one of the world’s 500 most influential Muslims by a group in Jordan – one of only two New Zealanders to make the list. Martin said he believed Kireka-Whaanga was no longer affiliated with the group. Kireka-Whaanga had been employed by the company for about a year, and appeared to be a “tame, timid guy,” he said.